Scientists have catalogued nearly 2,000 exoplanets around stars near and far. While most of these are giant and inhospitable, improved techniques and spacecraft have uncovered increasingly smaller worlds. The day may soon come when astrophysicists announce our planet’s twin around a distant star. But size alone is insufficient to judge a globe. Though Earth and Venus are nearly identical in size, the latter’s surface is hot enough to melt lead. 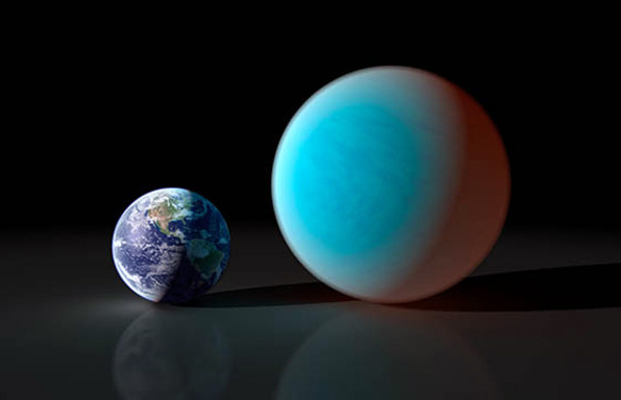 Astronomers must gather information about an exoplanet’s atmosphere, often through observing how the planet scatters or absorbs light from its parent star. But, that information is not always useful — as is the case with the exoplanet GJ1214b. This “flat spectrum” for GJ1214b indicated that something in the planet’s upper atmosphere blocked light, keeping scientists in the dark regarding its atmosphere. 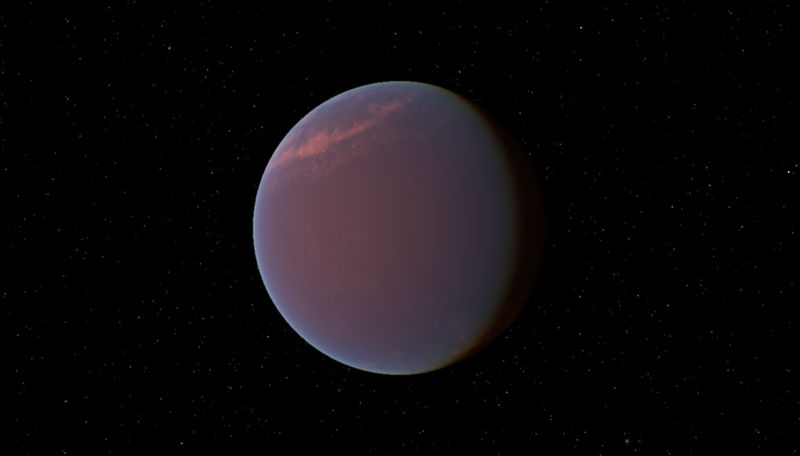 Charnay decided to computationally model what its atmosphere could be, based on the planet’s temperature and composition. In the process, as he reports in a new paper in Astrophysical Journal Letters, he and his collaborators became the first to simulate three-dimensional exotic clouds in the atmosphere of another world. “It’s an important step in characterizing exoplanets,” said Charnay. GJ1214b was among the first “mini-Neptune” exoplanets discovered, which are intermediate in size between Earth and Neptune. They’re the smallest exoplanets that can be studied with existing technology, and GJ1412b is in an ideal position. That fast orbit gave scientists the opportunity to record the exoplanet’s flat spectrum, ruling out an atmosphere of simple hydrogen, water, carbon dioxide or methane. Instead, something high in the atmosphere was blocking light from penetrating farther down. “There could either be high clouds in the atmosphere or an organic haze — like we see on Titan,” said Charnay. Charnay ran his three-dimensional cloud model on the UW’s Hyak supercomputer. It shows how GJ1214b could create, sustain and lift salt clouds into the upper atmosphere, where they would contribute to the planet’s flat spectrum that Hubble detected. His model also makes specific predictions about the effect these clouds will have on the planet’s climate and the types of information that future telescopes, like the James Webb Space Telescope, will be able to gather. Charnay would next like to model the other potential cause of the exoplanet’s flat spectrum: photochemical haze, which gives Titan its shrouded orange atmosphere and Los Angeles its persistent dome of polluted air. “Light splits chemicals in the atmosphere, creating more complex organic compounds that make the haze,” said Charnay. Charnay will have to wait until the James Webb Space Telescope launches later this decade to find out which theory — clouds or haze — gives GJ1214b a flat spectrum. In the meantime, in addition to his quest to simulate haze on this exoplanet, Charnay would like to model what the atmosphere was like on Earth before life evolved. 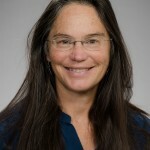 Charnay’s co-authors on the paper include UW astronomy professor Victoria Meadows, recent UW astronomy doctoral graduate Amit Misra, UW astronomy graduate student Giada Arney and University of Toronto researcher Jérémy Leconte. Their work was funded by NASA and the UW’s Virtual Planet Laboratory. For more information, contact Charnay at 206-553-9139 or bcharnay@uw.edu.